Laser tag has been a long-standing favorite for children. Home laser tag sets have been available since the early 1980's, but they have long needed an update. Most guns on the market include only a basic feature set. While great for younger children, they lacked the substance that even a slightly older crowd would find attractive. 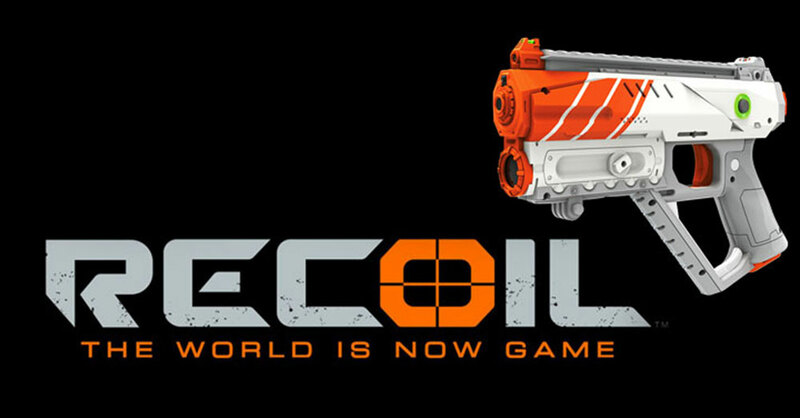 A new-to-market product hopes to change all that as they bring their real-life multiplayer laser tag game to the world - enter Recoil. In this article we take a preview look at Recoil ahead of it's August 15th, 2017 launch date. Update: Recoil is here! Find it on Amazon right here. Recoil is coined as a real life first person shooter (FPS). 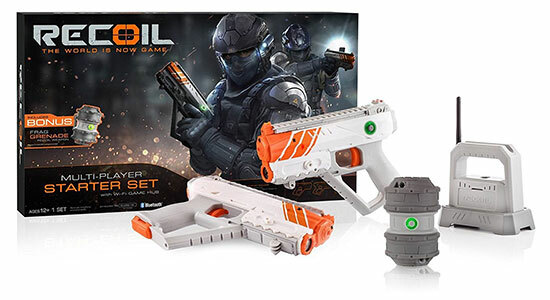 The product is essentially a home laser tag kit on steroids. Wi-Fi, Bluetooth, a smartphone app, and custom built hardware are combined to create an immersive battle experience. The combination of video game elements, immersive sound, and live action battles is aimed hopes to engage children 12+. Your common home laser tag set usually includes very basic hardware and sensors. Most commonly you'll be able to change teams, take damage until your out, and reset. This simple set of features is great for some quick fun, but doesn't provide much replay value. Recoil still falls into the home laser tag category, though the price tag is about double what you'd spend for a traditional laser tag set. The price is offset by a vastly superior feature set. Laser tag has always been reliant on the technology that drives it to create different game modes and combat situations. Until now, these features have only been found in high-cost tactical or commercial arena systems. The advanced systems, large scale group play, and immersive technology should provide a much, much higher replay value than older home-based laser tag sets. 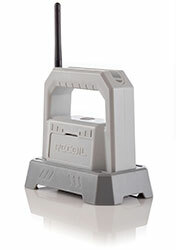 At the core of the system sits the Recoil Wifi Game Hub. This GPS enabled wireless router is the central brain for every game. A range of 250 feet in every direction allows up to 16 players to connect at the same time. The hub tracks and communicates with all players on the battlefield. It can direct you to re-spawn points, ammo locations, and mission objectives. This hub is the key to creating a variety of entertaining scenarios for players. The lineup of game modes at launch includes: Skirmish, Team Skirmish, and Search & Destroy. Note these features are for the pistol and rifle. One of the coolest features of the guns are the ability to connect headphones. By connecting up, you'll be able to use the button on the back of your blaster to voice chat with your team mates. You'll also hear game sounds using 3D positional audio technology. This audio element adds an additional layer of immersion, something never seen before in a home setup. The pistol is the standard Recoil weapon. The handheld gun provides a decent damage output, medium range, and low ammo capacity. The rifle is the larger add-on weapon. It includes an improve range and much larger ammo capacity than the pistol. The throw-able frag grenade provides high blast damage in a large area. The technology is all tied together by attaching your smartphone to your weapons via Bluetooth. This app for Android and iOS gives you detailed game information including health, ammo, and objective info. Add-on players can also connect via the phone app without needing a gun. These players can participate in the game by healing players and assisting with airstrike calls. Recoil has a big challenge ahead. The home laser tag industry has been a notoriously difficult market to enter. Similar products have failed before launch or phased out after a weak reception. The new project is being created by SkyRocket Toy Company - an established industry player. The company has already seen success in other categories like drones and robotics. Hopefully their experience will allow them to deliver on the enticing promises that Recoil makes. We think that Recoil has big potential. The game falls nicely in line between budget toy-grade and high end tactical. The accessibility, features, timing, appeal to the video game audience, and slightly older target audience make it very promising. We are looking forward to getting our hands on the kit to give it a test run. Pre-order kits also include a frag grenade. We are very excited for the release of this new product and hope you are too. Tell us what you think in the comments below.